I had a busy day yesterday. I met with Bev from Flamingo Toes for several hours while we worked on this year’s SoCal Social. I sat in traffic on the way home, quickly changed clothes and made it to my exercise class, then hit my local Vons grocery store on the way home, desperately hoping that dinner would jump into my cart. You know what? It kind of did. 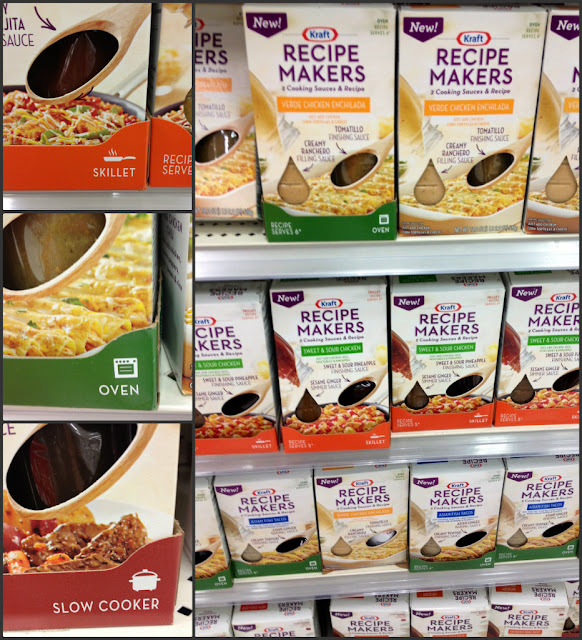 I was given the opportunity to try Kraft Recipe Makers, and boy-oh-boy, was yesterday perfect timing to do so! I normally cook dinners from scratch, but there are some nights when i don’t have the time (or the energy) and these Kraft Recipe Makers are lifesavers! All of the sauces and seasonings are ready to go, and you just add your fresh ingredients. You can find them in the meat department shelved on racks on or near the refrigerated meat coolers. They can also be found in the “Meal Starters” Section which is usually the same aisle that the rice and dried beans are in. This is where I found them in my store. What’s really great about these is that you are adding fresh ingredients. Sauces and seasonings are often the most difficult part of creating a good dish (but also can make or break it) so this is pretty cool. 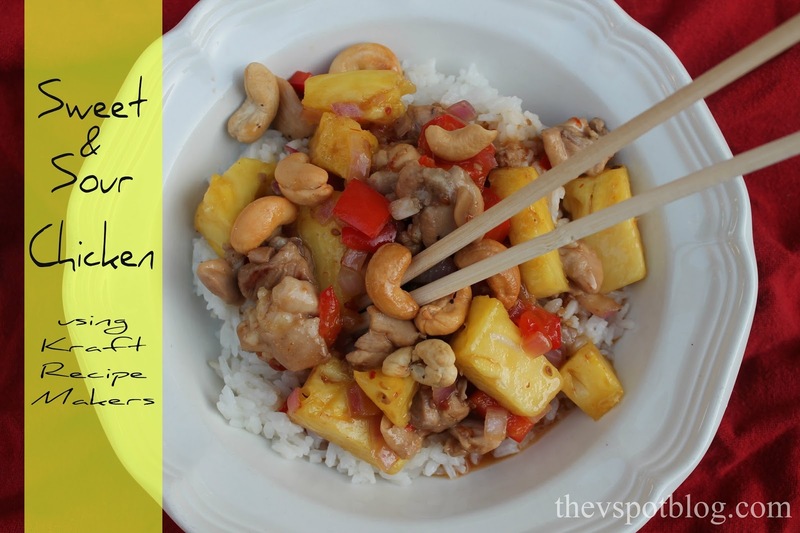 I tried the Sweet & Sour Chicken, and it couldn’t have been easier. 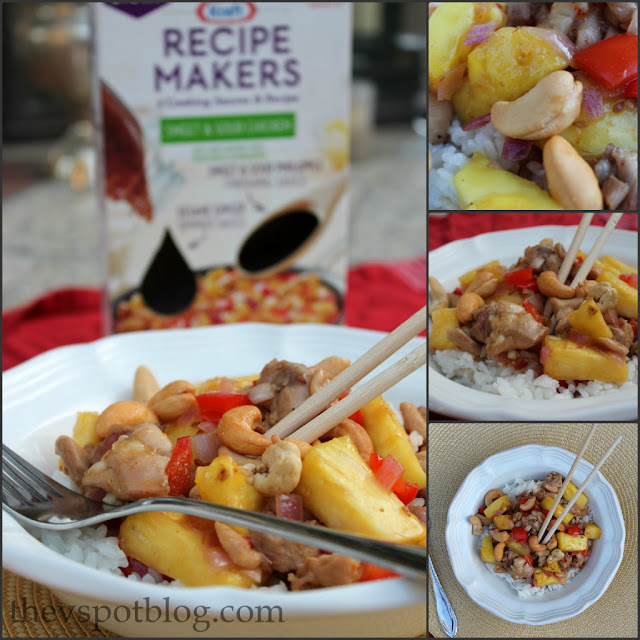 I gathered my ingredients (btw, the box called for canned pineapple chunks, but I happened to have a fresh one on hand, so I used that) and got the rice cooking. While the rice was cooking, I quickly cubed the chicken and got it sauteing in a skillet, along with half of the Sesame Ginger Simmer Sauce. While the chicken cooked, I quickly chopped up a red bell pepper and a red onion. I added them to the skillet along with the remaining Simmer Sauce. 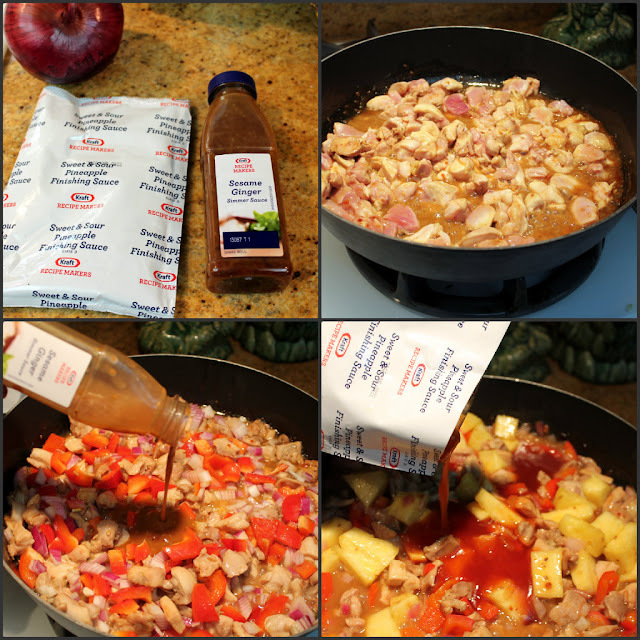 While they cooked for a few minutes, I chopped up the pineapple and added it in, along with the Sweet & Sour Finishing Sauce and let it heat through. Done. Seriously, it took me all of 25 minutes. There are lots of flavors and dishes to try out, and one of the things I thought was pretty cool was that each Recipe Maker can make dishes one of three ways. 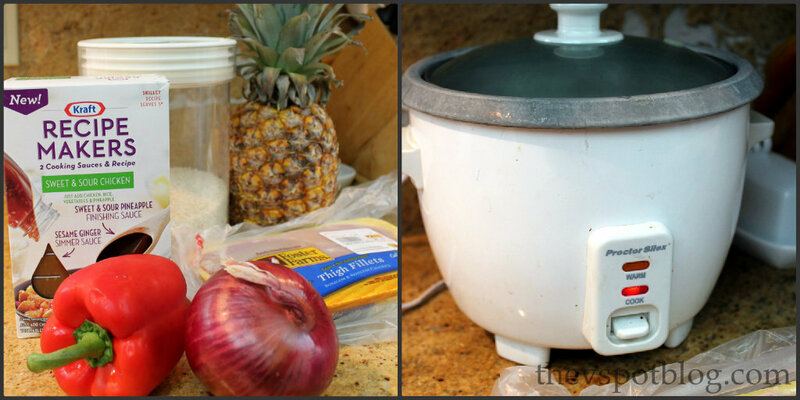 You can choose from a variety of prep methods, including in a slow cooker, skillet or oven. Yum! These are going to come in especially handy once school starts again at the end of the month and our schedules get a lot more hectic. Do give them a look-see! You sure did! This looks so great lady! I am going to have to try it– my kids would DIG this! I'm starving and you just gave me an idea for dinner! Totally running to the store for this after work!! This look SO yummy! I always need more quick-fix dinner ideas, I'll definitely be looking for this! Thanks for sharing! Great idea Viv… this will save me on one of those days where I am running around all day and don't have much time to make a meal! My family would love this! And I'd love not having to spend hours in the kitchen. Win/win! Thanks Viv!